I remember asking Jackson, why 154 Forties? Why that number? Why not another? He never gave me a clear answer. Only after his death, while editing Thing of Beauty, did it dawn on me that he might have been referring to Shakespeare’s sonnets, which also number 154. Such a reference would indeed have to have been couched, if that’s what he was doing. And the more I think about the Forties’ format, the number of lines, long ones and short ones, the more I believe my hunch to be correct. 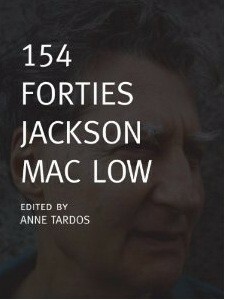 Mac Low wrote the 154 Forties over a period of ten years. He began writing them in 1990, and finished writing the first drafts in 1995, although he continued revising them until 2001. He wrote the first drafts into a notebook. The poems incorporated everything he saw and heard and thought of at the time. When in Europe, he freely included words from languages other than English. (In the few multilingual Forties, he included elements and notational methods from some of my own multilingual poems.) I remember Jackson writing during poetry readings, music and dance concerts, in cars, planes, trains, and boats. The poems’ end notes document the exact time and place of each poem and subsequent revision(s). Back home, at his computer, he would type up what he had written. In his “Notes to 154 Forties” (below), he describes the prosodic devices he used to indicate reading tempo, stress, and dynamics. Jackson was, after all, a performance poet. Many of the Forties have appeared in magazines and anthologies. Zasterle Press in the Canary Islands, published 20 Forties, in 1999. A selection of four poems was translated into French, by the translation collective in Royaumont, and published in 2001 by Un bureau sur l’Atlantique as Les Quarantains (Extraits). This is the first time the Forties are collected in their entirety. The Forties stand as Mac Low’s most important achievement. His encyclopedic knowledge, humor, and boundless imagination, are abundant in these poems. Who can resist a “perpendicular tofu cancellation” or “J. Edgar Hoover Blackmailed Transformational Linguistics,” the title of Forties 126. Each title is composed of the first word(s) of the first stanza and the last word(s) of the last stanza. These titles are a poem within the poem. The musicality of a line like “Toffee clinic alcohol-cadenza lyricism strife megalópia tank” is clear. Had he not previously worked with systematic chance operations, he might not have been able to write these spontaneous and intuitive works. His transition from chance and deterministic methods to free writing, however, was not abrupt. Between his system-based works of the mid-1950s, Jackson also engaged in various mixes of chance and choice, as in the “Light Poems” and the “Presidents of the United States of America.” Among Jackson’s papers, I came across an unfinished letter in which he discusses the evolution of his poetics: “I don’t believe that poetics should be prescriptive, even though an artist may adopt or develop certain theories to guide her work at various times. I consider such theories to be ‘scaffoldings’ that help the artist make the works, but that may well be discarded and/or modified afterward. Ultimately, they may have little or no truth value (except as analyses) and may only indirectly embody or express ethical or political values.” Later he adds, “I am an empiricist, a pragmatist, and a metaphysical skeptic — in an embracing rather than a rejective sense. Mind and matter are two aspects of the same ‘thing.’ Consciousness may ultimately be explained by material causalities, and material phenomena may be explained by physical causalities.” Mac Low was continually defining and redefining his political, artistic, and philosophical beliefs. 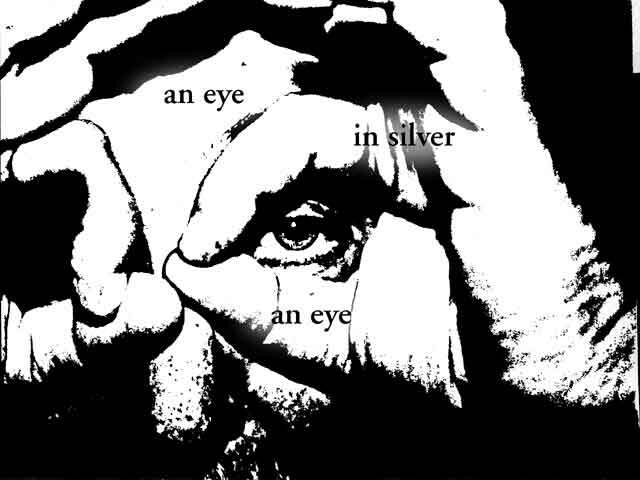 He also moved freely between art forms, often drawing and painting words and phrases, making collages and constructions. 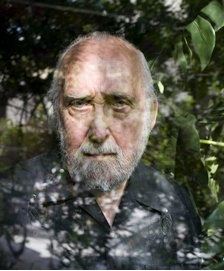 Exhibits of his visual artworks and lesser-known collages have been shown around the world. They are as complex and multifaceted as his poetry. The Forties, it seems to me, are a deeply engaged exploration of language. The nod to Shakespeare, if my guess is correct, is appropriate and modest. Mac Low never compared his Forties to the sonnets, but he did write 154 of them, perhaps leaving a subtle message for the readers of the future.